How do you feel about a one pot meal? Well, this is one kicker of an easy dish. Spicy and flavorful, thick and hearty, but so simple to prepare. I made this for my family during Mardi Gras week. My husband doesn’t eat shellfish, however, so I left the shrimp out. I really didn’t miss them, well maybe just a little, but was very satisfied with a hefty bowl. Heat oil in a medium stock pot and saute garlic until translucent. 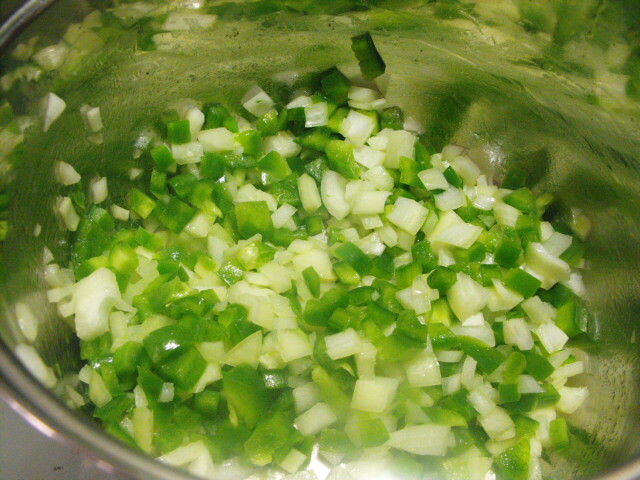 Add onions, peppers, parsley and sweat until translucent, reducing heat if necessary to prevent scorching. 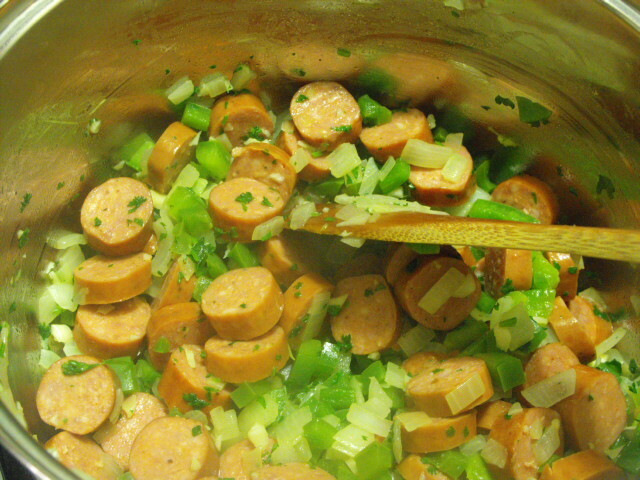 Add sausage and slowly cook until browned. Stir in tomato puree, herbs and spices, and stock. Bring to a boil. 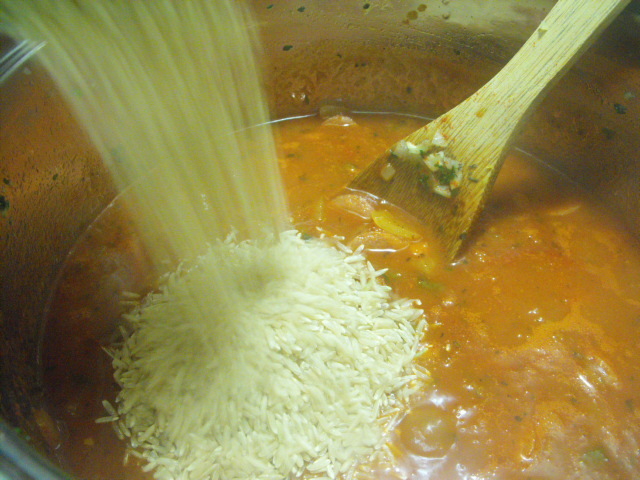 Add rice to the pot and reduce heat to low/medium. 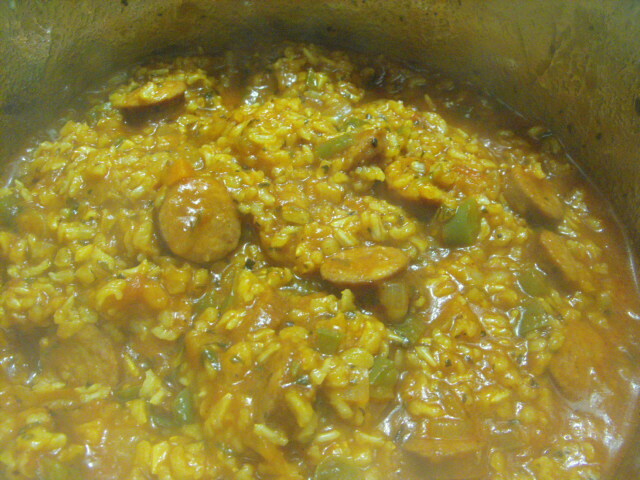 Cook, covered, for 2 hours, stirring occasionally. Reduce heat to low if liquid is being absorbed too quickly. 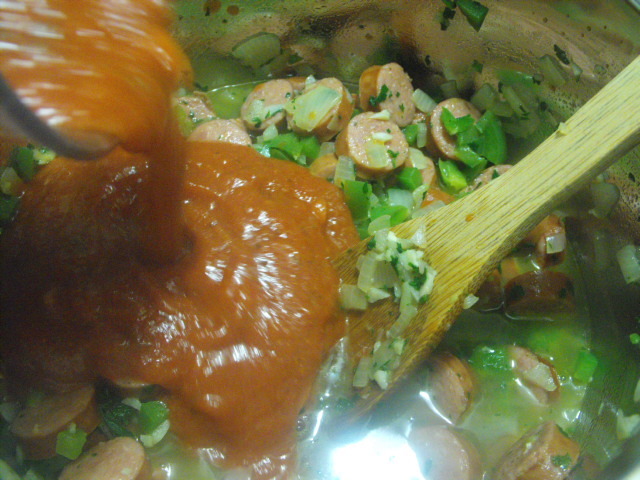 The last five minutes of cooking time, toss in the raw shrimp and stir until they are combined and the turn pink from the heat of the jambalaya.